Undoubtedly the best-selling author of his day and well loved by readers in succeeding generations, Charles Dickens was not always a favorite among critics. Celebrated for his novels advocating social reform, for half a century after his death he was ridiculed by those academics who condescended to write about him. Only the faithful band of devotees who called themselves Dickensians kept alive an interest in his work. Then, during the Second World War, he was resurrected by critics, and was soon being hailed as the foremost writer of his age, a literary genius alongside Shakespeare and Milton. More recently, Dickens has again been taken to task by a new breed of literary theorists who fault his chauvinism and imperialist attitudes. Whether he has been adored or despised, however, one thing is certain: no other Victorian novelist has generated more critical commentary. 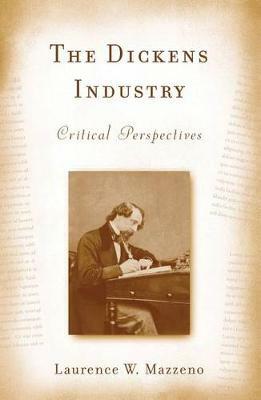 This book traces Dickens's reputation from the earliest reviews through the work of early 21st-century commentators, showing how judgments of Dickens changed with new standards for evaluating fiction. Mazzeno balances attention to prominent critics from the late 19th century through the first three quarters of the 20th with an emphasis on the past three decades, during which literary theory has opened up new ways of reading Dickens. What becomes clear is that, in attempting to provide fresh insight into Dickens's writings, critics often reveal as much about the predilections of their own age as they do about the novelist. Laurence W. Mazzeno is President Emeritus of Alvernia University, Reading, Pennsylvania.